Hard to believe, but the year is seriously catching up. The end of summer and the onset of the busy fall season always brings two emotions for me: excitement and mild panic. When school starts and vacations are over, people get more serious about their enterprises, and the marketplace always seems to heat up. That’s the excitement. The mild panic is recognition of the fact that there are only three months left to the year, and my procrastinations are mounting! The ole "to-do” list is too long … and it’s the 3rd or 4th to-do list I’ve got running concurrently! 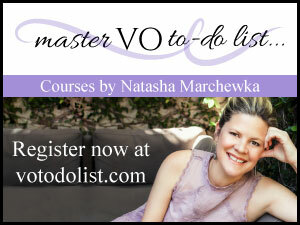 Here are a few suggestions for dusting off the unfinished items piling up in your voice over business. 1. Who among your clients are dragging their feet with payments? Maybe a gentle reminder is in order. 2. Are you keeping up-to-date with accounting? Better done incrementally now, than all-at-once next tax season! 3. Time to dust-off the demo? Maybe upgrade it to something with more modern content? 4. What cold-calls, emails, mailers, or other prospective-client approaches are left undone right now? 5. Have you engaged with ANY coaching this year? There are still plenty of opportunities to reserve a place in training venues. 7. Have you reached out in service lately? Volunteering your time, talents, or resources to a pro-bono cause? 8. Is this when you will finally update that head shot, bio, and newsletter? 9. Are you keeping your mailing lists current? 10. Are your social media profiles up-to-date? Nothing will peg you as "clueless” more than to have something out-of-date with THAT. 11. Have you asked a trusted sound engineer to evaluate the quality of your day-to-day sound lately? 12. If this is the second year in a row you’re unable to get something off the ground … time for a virtual assistant? 13. Did you Google yourself recently? 14. Is your website still Google-friendly? 15. Have you asked your clients for a referral lately? 16. 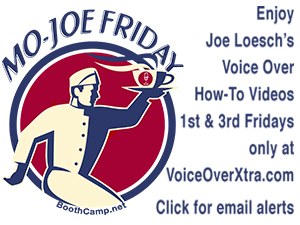 Are you a member of a local or online VO community that meets regularly? I could go on, but you probably have your OWN list of neglected duties. I hope this list has jogged your mind a little. Now please share. What have I missed that we could all benefit from? 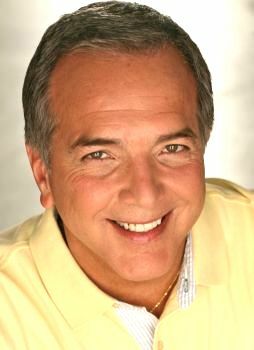 Dave Courvoisier is an Emmy Award-winning broadcaster, writer, producer, voice actor, and the main weeknight news anchor on KLAS-TV, Channel 8, the Las Vegas CBS affiliate. He also writes Voice-Acting in Vegas, a daily blog of adventures and observations in a style that’s true to his friendly Midwestern farm roots. Even for a newcomer in start up mode - this is loaded with great reminders not only for Q4 but year round! As always, Dave, your advice is timely and helpful! Thank you for these reminders. For many years, I've had the privilege of managing the finances of wide variety of small businesses (in my day job). The ones who survive --and thrive-- schedule this kind of end-of-year housekeeping as a normal part of their annual routine. 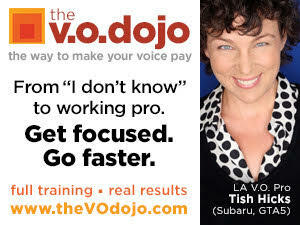 This stuff is not as fun as a lot of the other things we do as voice actors, but neglecting it can mean the difference between staying in business, and wondering what happened.